The idea is simple. A Raspberry Pi image boots up for the first time and offers a WiFi hotspot itself called ConnectToConnect. The WiFi password is also ConnectToConnect. Once connected, you get configuration options that allow you to tailor the system to your network. Sure, you could have people log in and reconfigure via a serial terminal, wired ethernet (which isn’t always set up right, either), or a USB keyboard But that’s not a great out-of-the-box experience for most customers. The Raspberry Pi Zero W is a great platform for IoT projects, with a smattering of GPIO and onboard WiFi. However, security is an important consideration when it comes to the Internet of Things and it can be beneficial to keep your IoT devices on a separate network for safety’s sake. [Albert] wanted to do this all on board the Pi Zero W, and figured out how to get it acting as an access point and a client all at the same time. [Albert] starts off with a fresh install of Raspbian Stretch, and sets the Pi up in OTG mode. This allows access to the Pi over a USB serial terminal. This is great for productivity when working on headless networking projects, as it can be frustrating trying to work with an SSH session that keeps dropping out when you change settings. After creating a second named device (ap0) to go along with the one created automatically by the kernal (wlan0), DNSmasq is installed to act as a DHCP server for the AP. Hostapd is then installed to control the AP settings. Following this, like anything in Linux, a flurry of configuration files are edited to get everything humming along and starting up automatically after a reboot. For some reason, things don’t start up smoothly, so [Albert] has a cron job that fires 30 seconds after bootup and toggles the interfaces off and on again, and that’s done the trick. It’s a useful hack, as it allows the Pi Zero to act as a hub for IoT devices, while also creating a bridge between them and the internet. Traffic can be managed to stop random internet users flicking your lights on and off and overspeeding your dishwasher. We’ve seen the Pi Zero used for just about everything under the sun so far. If you’re just starting your own IoT build, perhaps you’d like to use the Pi Zero as a streaming camera? There’s no doubt that the ESP8266 has made creating little WiFi widgets pretty easy. However, a lot of projects hard code the access point details into the device. There’s a better way to do it: use the WiFiManager library. [Witnessmenow] has a good tutorial and a two-minute video (which you can see below). Hard coding is fine if you are just tinkering around. However, if you are going to send your device away (or even take it with you somewhere) you probably don’t want to reprogram it every time you change access points. This problem is even worse if you plan on a commercial product. 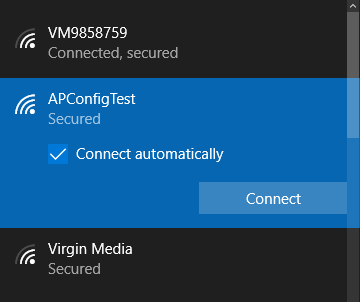 WiFiManager does what a lot of commercial devices do. It initially looks like an access point. You can connect to it using a phone or other WiFi device. Then you can configure it to join your network by setting the network ID, password, etc. Our conscience almost prevented us from posting this one. Almost. What do people all around the world want most? Free WiFi. And what inevitable force do they want to avoid most, just after death and taxes? Rick Astley. 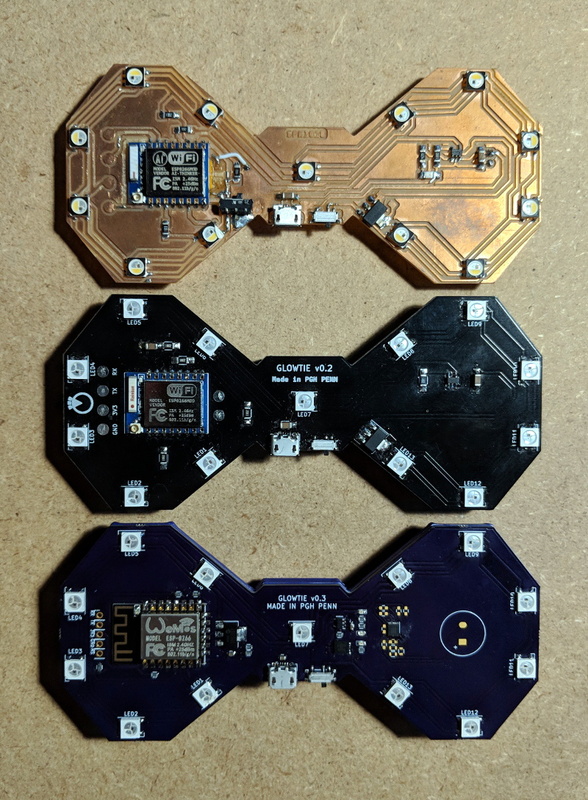 As a getting-started project with the ESP8266, Hackaday.io user [jaime] built a “free WiFi portal” that takes advantage of people’s deepest desires. Instead of delivering sweet, high-bandwidth connectivity, once you click through the onerous terms and conditions, it delivers you a looped GIF with background music. And all of this on $4 worth of hardware, with firmware assembled in the cloud and easily available to anyone. We live in a truly frivolous glorious age. Digging through our archives, we found a number of Rickroll posts that we’d rather forget, but this steam-powered record player bears a second look. There’s a big problem with the Internet of Things. Everything’s just fine if your Things are happy to sit around your living room all day, where the WiFi gets four bars. But what does your poor Thing do when it wants to go out and get a coffee and it runs into a for-pay hotspot? [Yakamo]’s solution is for your Thing to do the same thing you would: tunnel your data through DNS requests. It’s by no means a new idea, but the combination of DNS tunneling and IoT devices stands to be as great as peanut butter and chocolate. DNS tunneling, in short, relies on you setting up your own DNS server with a dedicated subdomain and software that will handle generic data instead of information about IP addresses. You, or your Thing, send data encoded in “domain names” for it to look up, and the server passes data back to you in the response. DNS tunneling is relatively slow because all data must be shoe-horned into “domain names” that can’t be too long. But it’s just right for your Thing to send its data reports back home while it’s out on its adventure. Oh yeah. DNS tunneling may violate the terms and conditions of whatever hotspot is being accessed. Your Thing may want to consult its lawyer before trying this out in the world.